The USM Free Store has moved! It is located in Lower Brooks Student Center next to the Sodexo seating lounge. 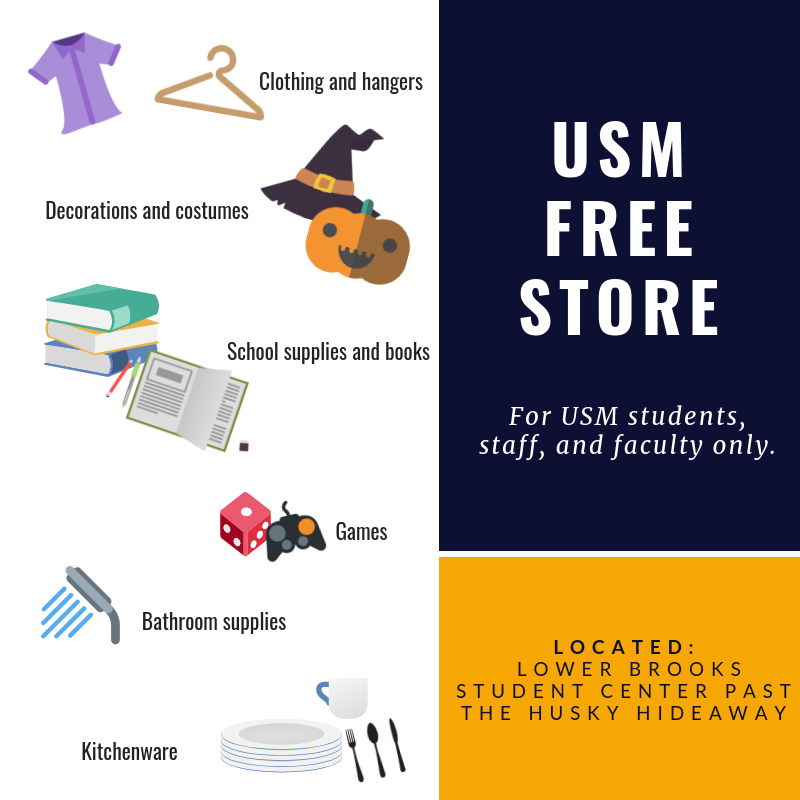 The FreeStore is an organized location that provides free clothing, dorm and household items like shower caddys and cleaning supplies, books, movies, gadgets, accessories, school supplies, and more - right on the USM campus and it's all FREE. Why visit the Free Store? Create less air and water pollution than what would be generated by making a new item or landfilling/recycling. When you visit the FreeStore you can feel good about taking an action that helps prevent the over-consumption of products. By reusing perfectly intact items you are not only following the waste hierarchy but contributing to a cleaner environment. 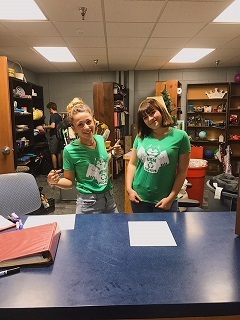 The USM Office of Sustainability also holds an annual free yard sale during Welcome Weekend when students are moving in. Forget a shower caddy or shoe organizer? Find it at the free yard sale. Where do all the items for the Free Store and Annual Free Yard-Sale come from? A majority of the items are collected during Mindful Move-Out. Other items are donated throughout the year by individuals or offices around campus. Spring Semester 2019-Mondays 9:30am-12:00pm and special events/ Visit our Facebook (@usmecoreps) or Instagram (@sustainability_usm) for additional hours.